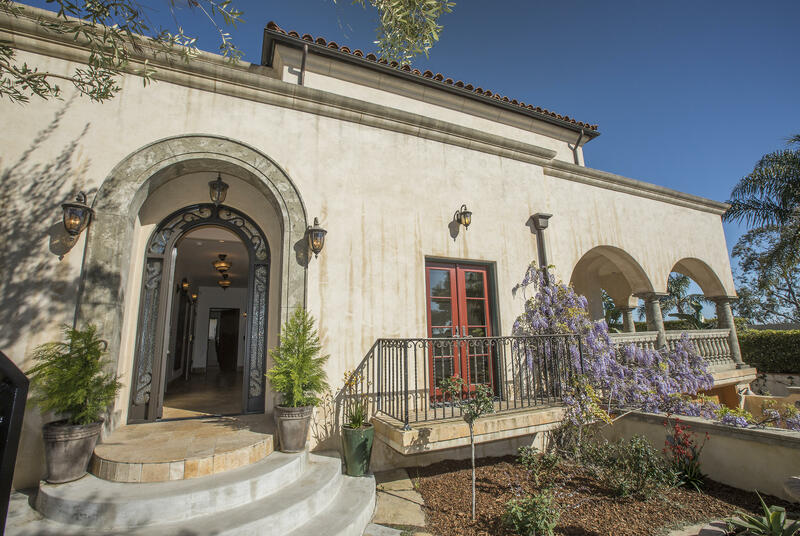 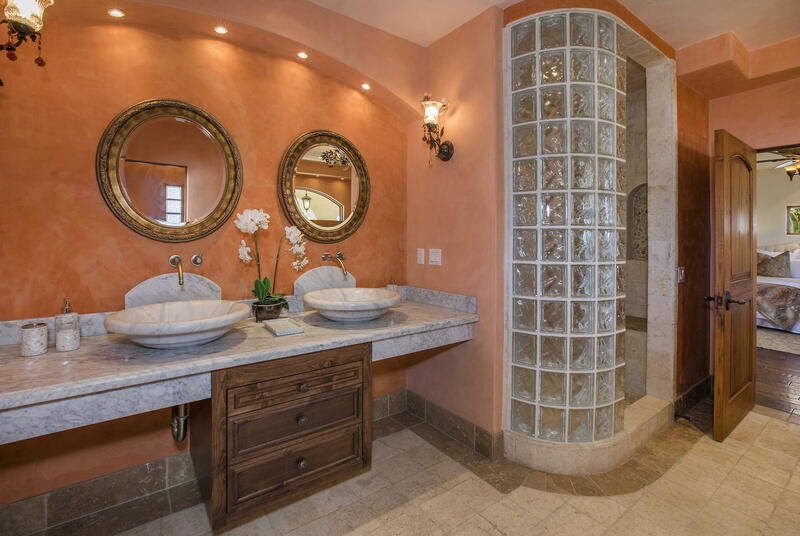 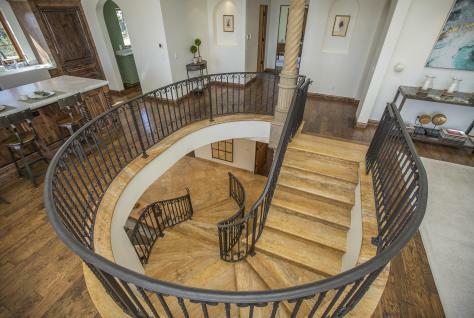 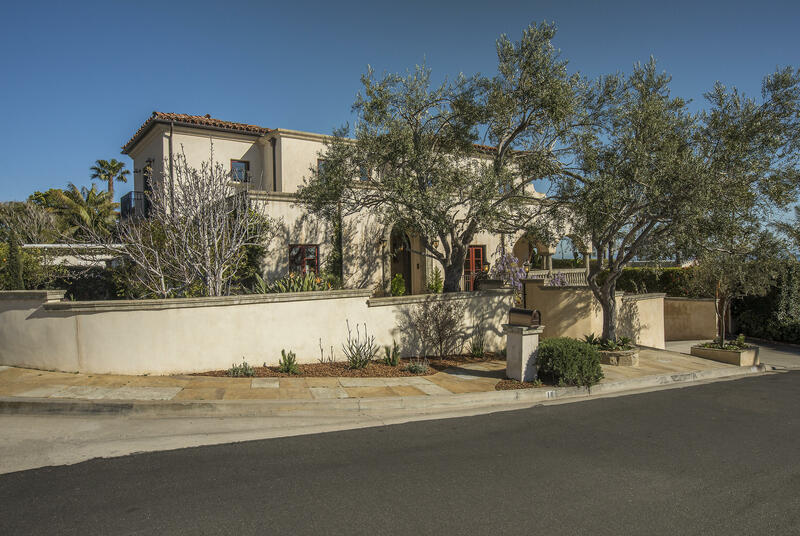 Completed in 2008 with expertise and exquisite care, this home offers quintessential California living, with the best that an elevated Mesa lifestyle can provide. 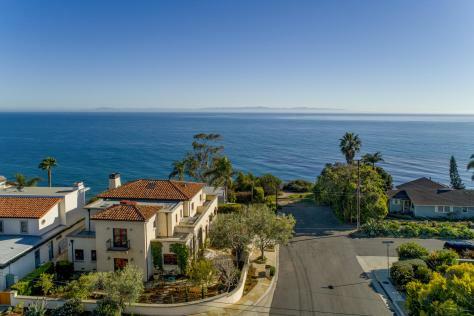 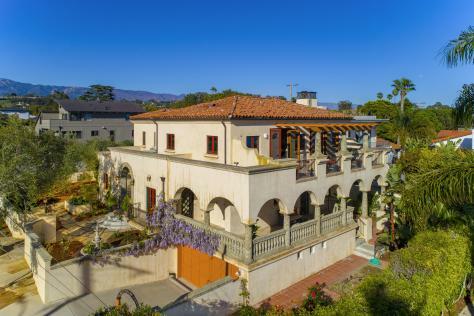 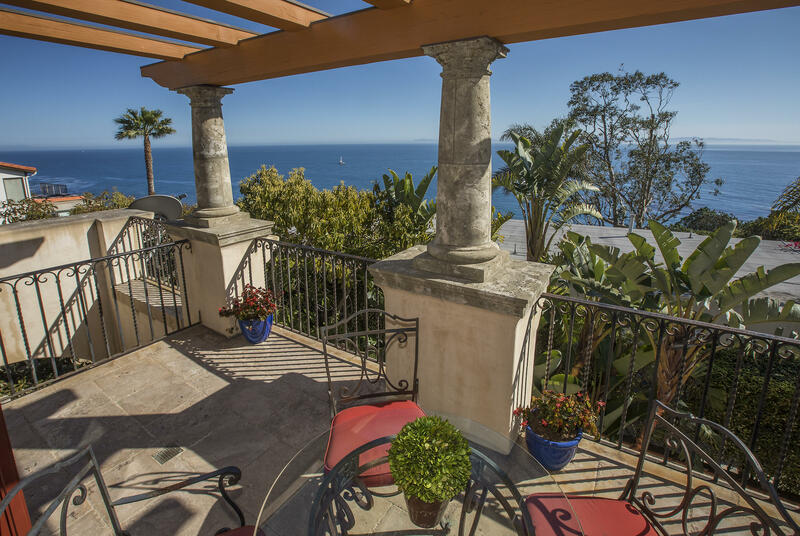 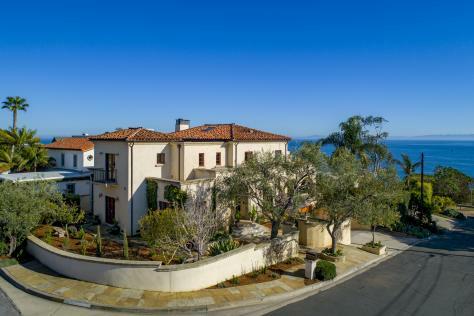 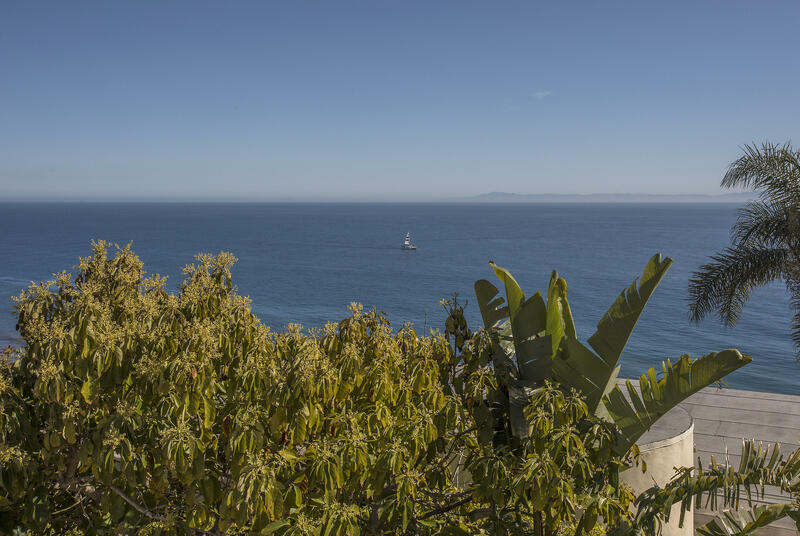 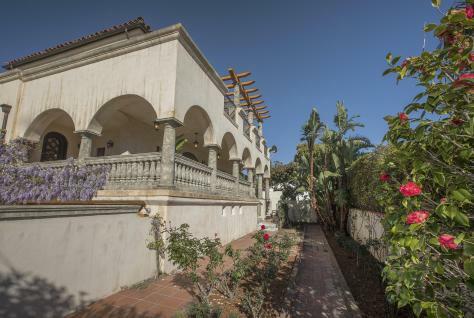 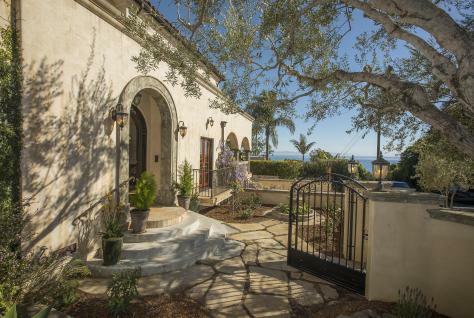 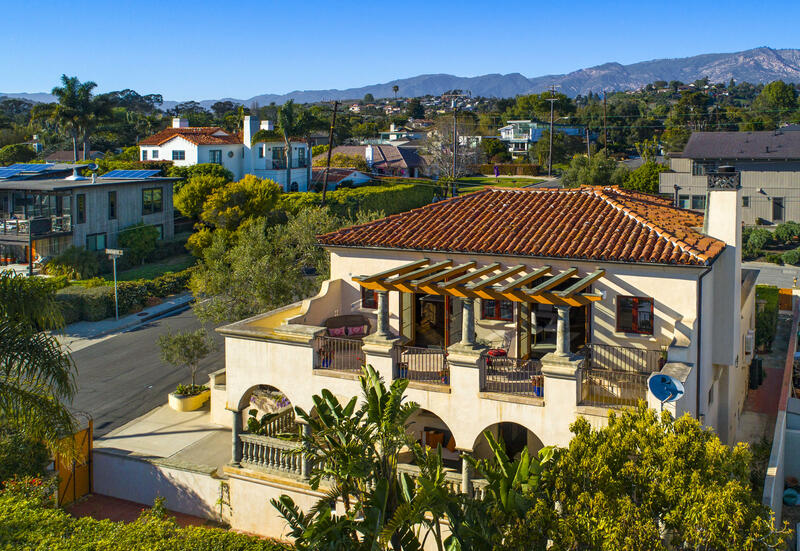 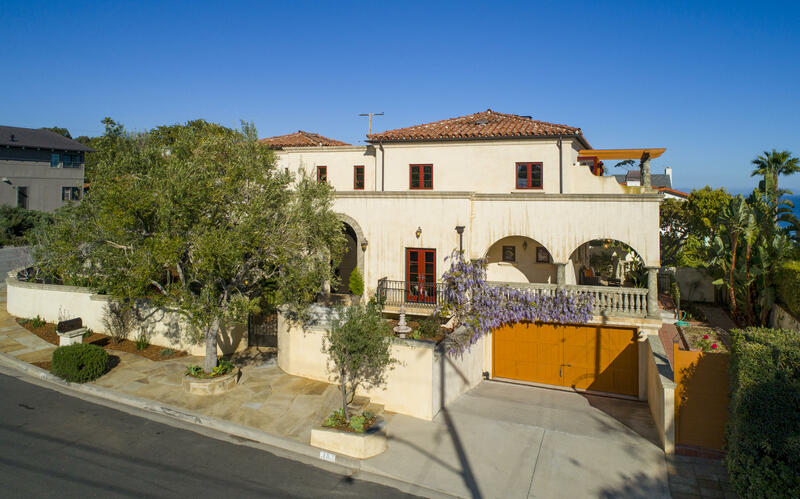 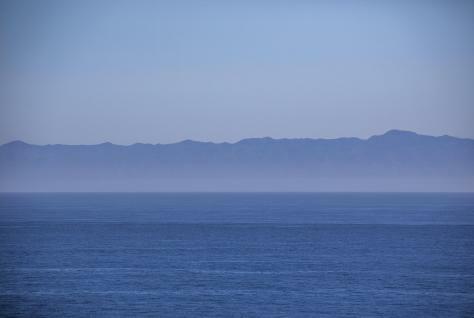 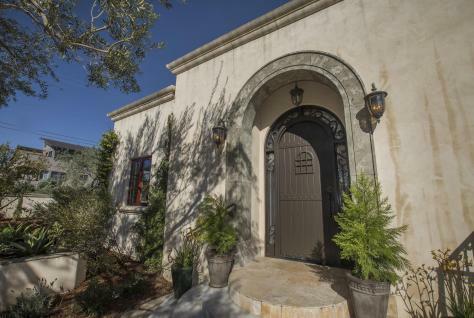 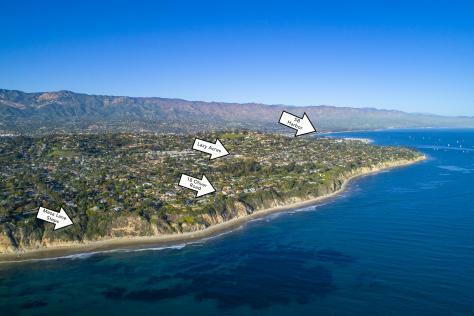 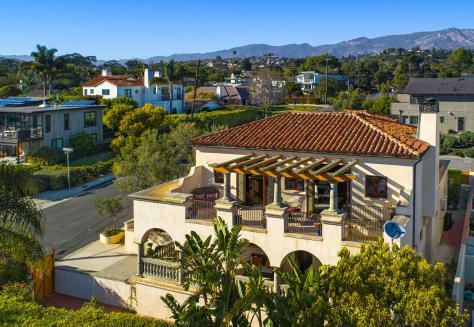 Perched on the bluff at the end of Oliver Road, this two story home celebrates the beauty of Santa Barbara's coastline with full ocean and island views.Designed with the charm of Italian romance in mind, this 4 bedroom, 4 bathroom, plus office or 5th bed, is a unique gem in the area. 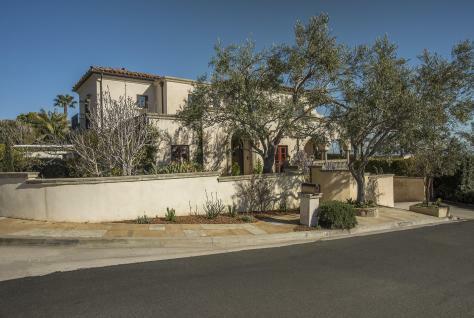 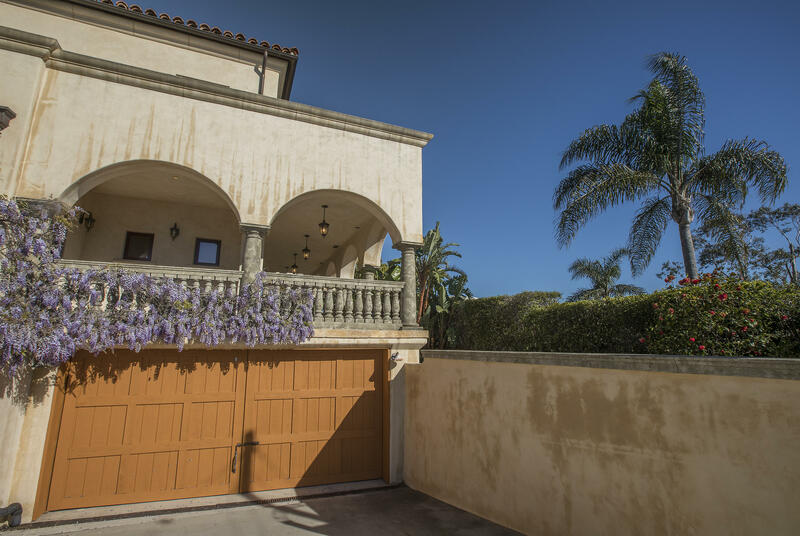 Within 5 minute proximity to Washington Elementary School, The Mesa Center and Mesa Lane beach, 18 Oliver Road boasts an unrivaled location.Be greeted by an exterior of purple wisteria vines which drape the oversized 2-car garage and compliment fully irrigated, freshly landscaped grounds. 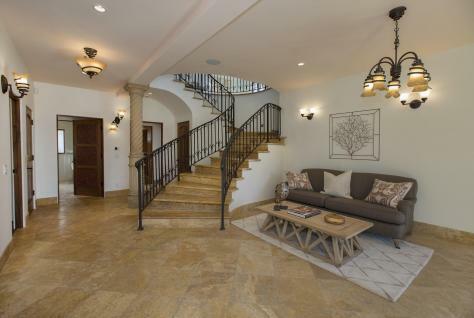 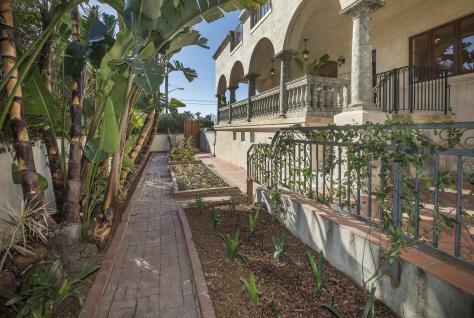 A custom iron front door opens to a spacious foyer, leading to each of 4 bedrooms as well the downstairs patio. 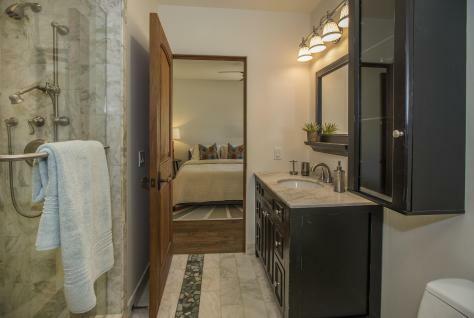 The front two bedrooms, brightly lit with large windows, are connected by a jack-and-jill bathroom with a green marble shower. 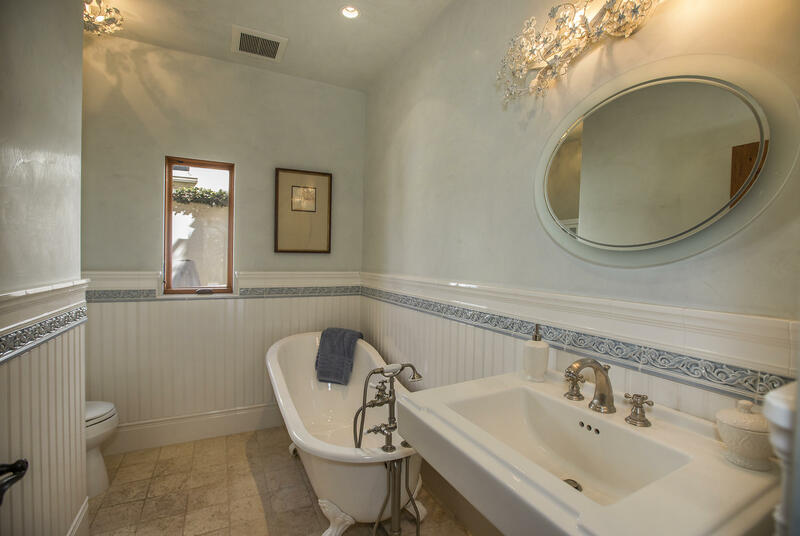 The third bedroom suite has its own bath with a charming claw foot tub. A sublime feeling of sanctuary is exemplified in the master bedroom, as it opens out onto the downstairs patio, which overlooks red brick gardens and offers gorgeous ocean views. 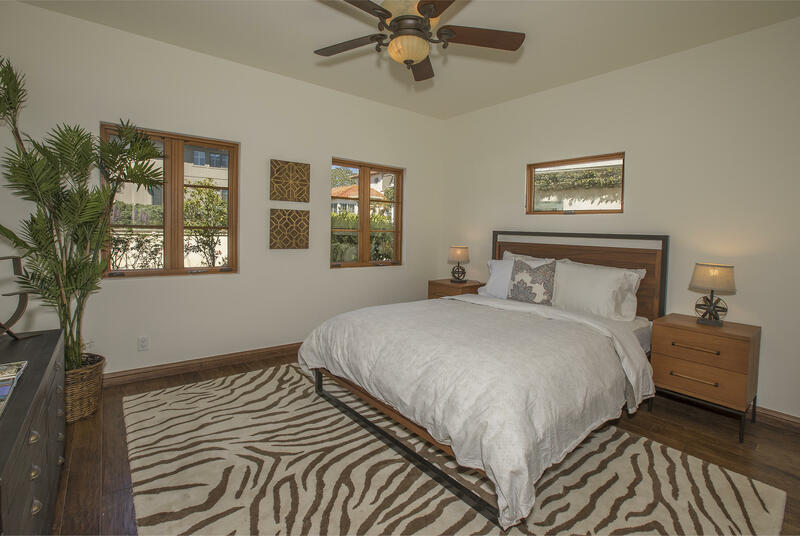 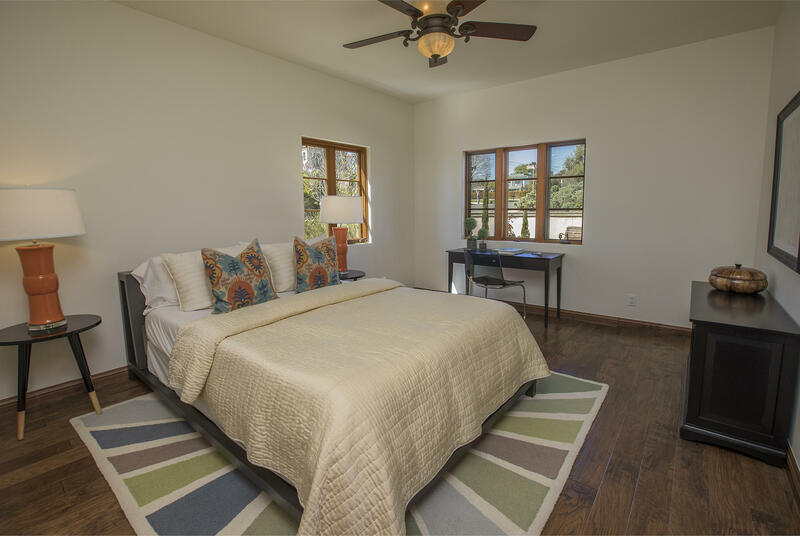 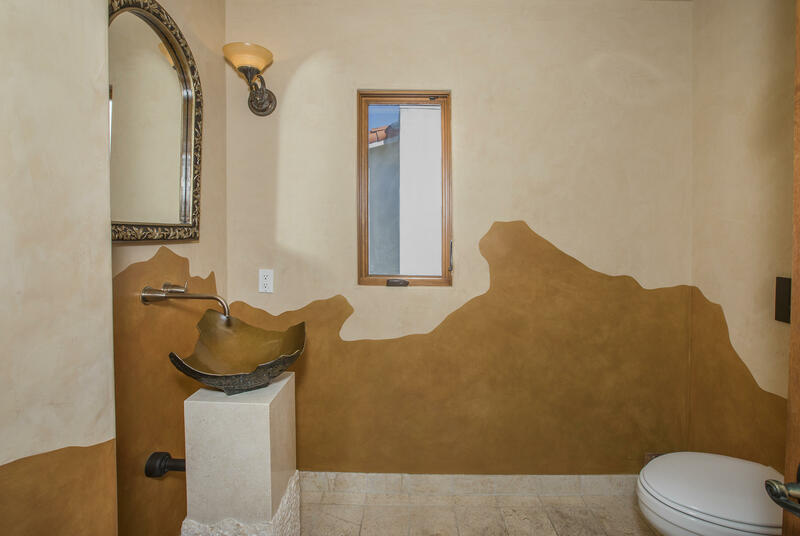 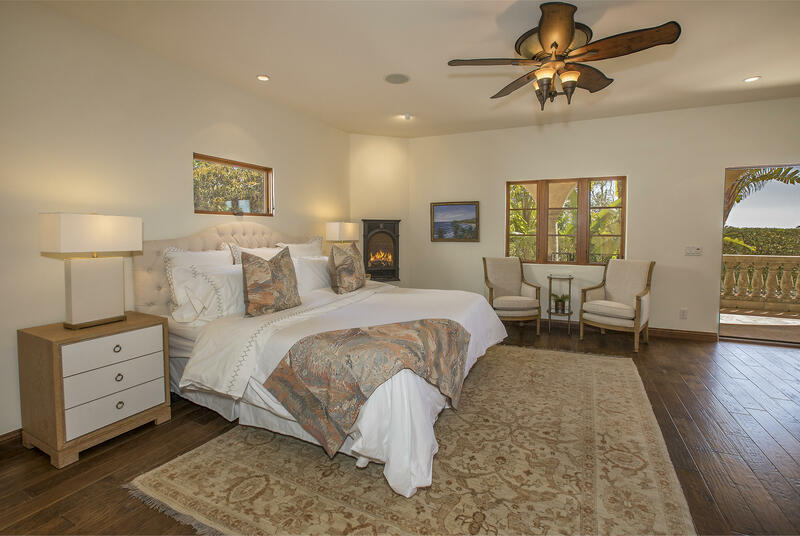 Curl up next to a bedside gas fireplace and be warmed by the Venetian plaster throughout the master suite. Lavish amenities extend into the bathroom with the walk-in marble tile shower with dual shower heads and Bain Ultra tub set against an ocean view window. 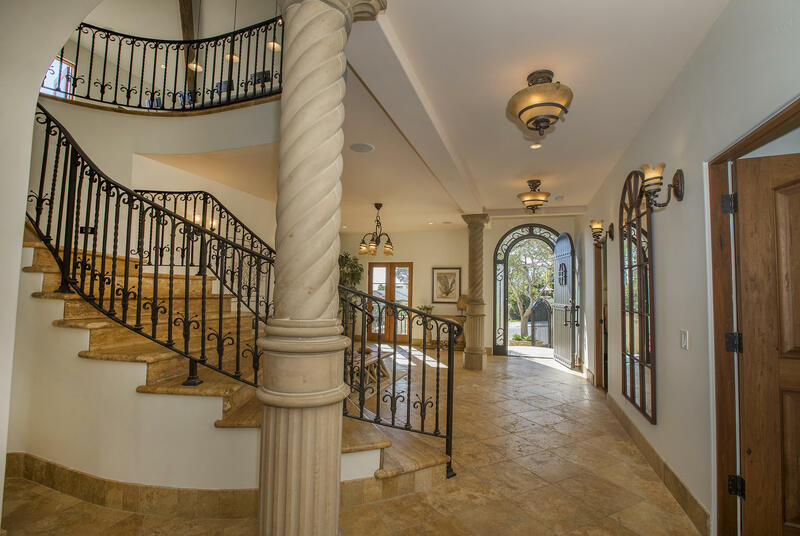 Venture upstairs via private elevator or central marble staircase with wrought iron railings, leading up to a stately open-concept great room. 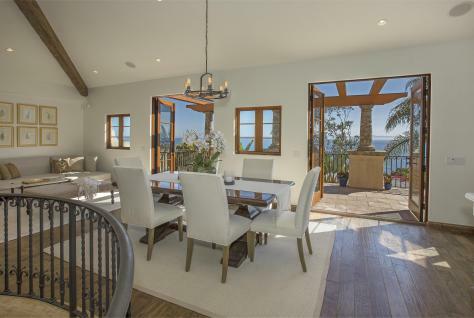 Soaring ceilings marked by distressed wood beams greet you, while giant automatic skylights allow abundant natural light and ocean breezes to circulate the home when opened. Truly, this home has a life and breath of its own! 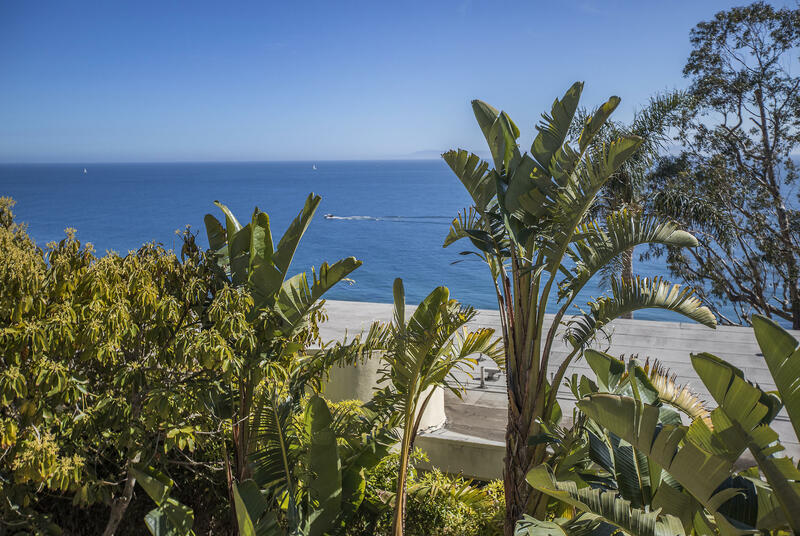 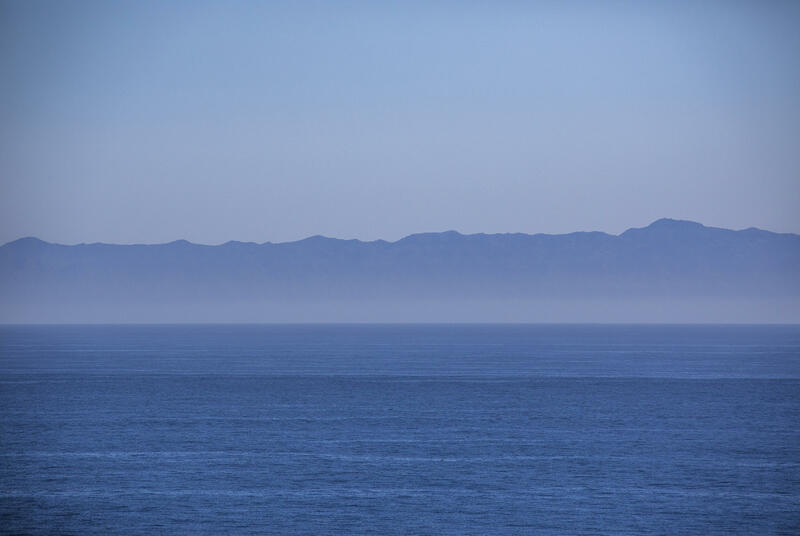 The entire second floor boasts jaw-dropping ocean & island views from Campus Point to Point Mugu, enjoyed from the expansive upstairs patio. 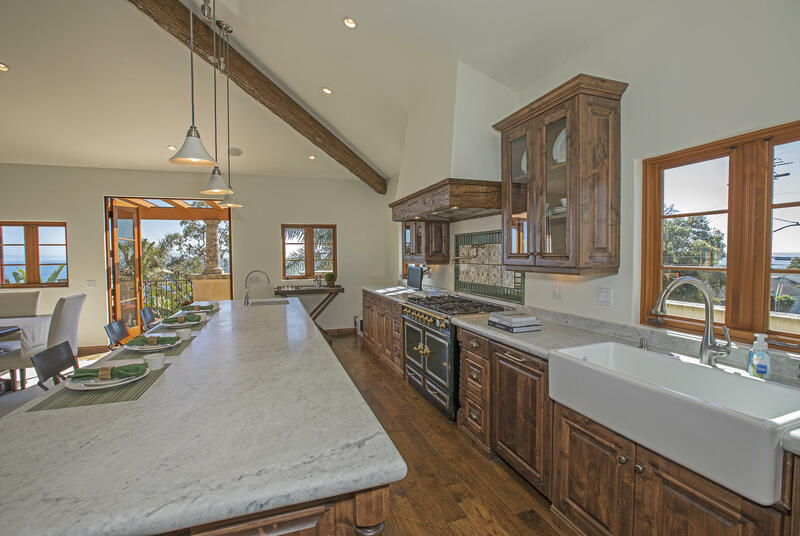 Any chef or one who loves to entertain will appreciate the luxurious amenities that the modern kitchen offers. 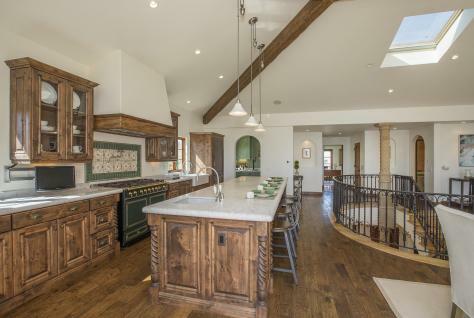 Entertain or cook for any number of guests with a 12-foot marble island, La Cornue french stove, Shaws Original farm sink, and a built-in subzero refrigerator. A delightful auxiliary pantry includes a wine cooler, additional chef's sink and ample food storage space. 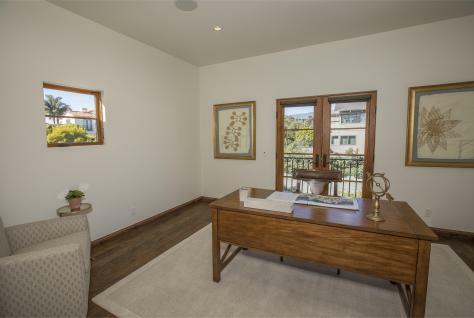 Adjacent to the kitchen is the office (or 5th bedroom) brightly lit by French doors that open to a juliet balcony overlooking the back gardens and fruit trees. 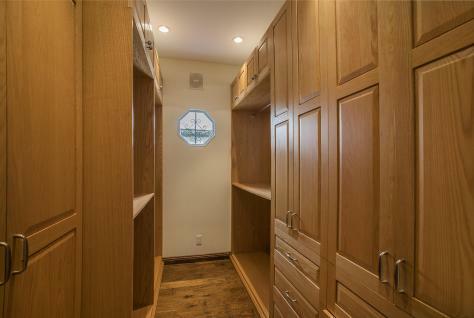 Laundry room is situated conveniently between the office and kitchen, complete with built-in desk and storage space. 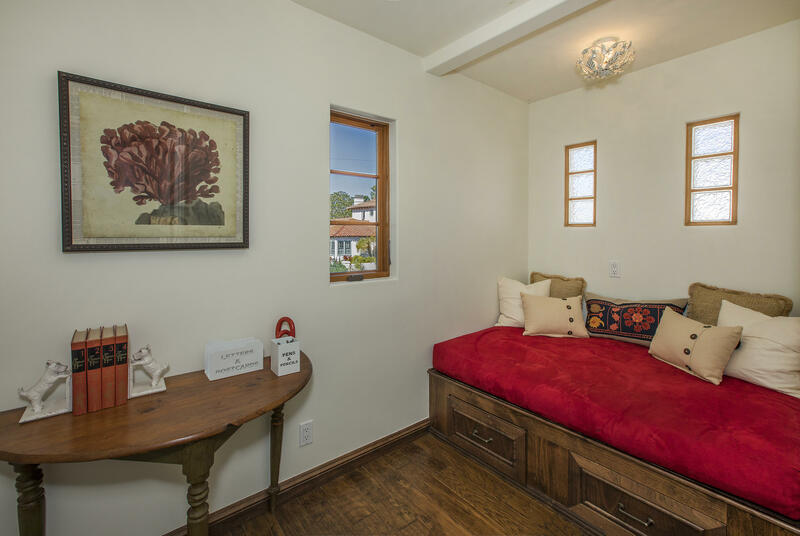 Additionally, find serenity in the cozy reading or meditation room with built-in lounge seating. 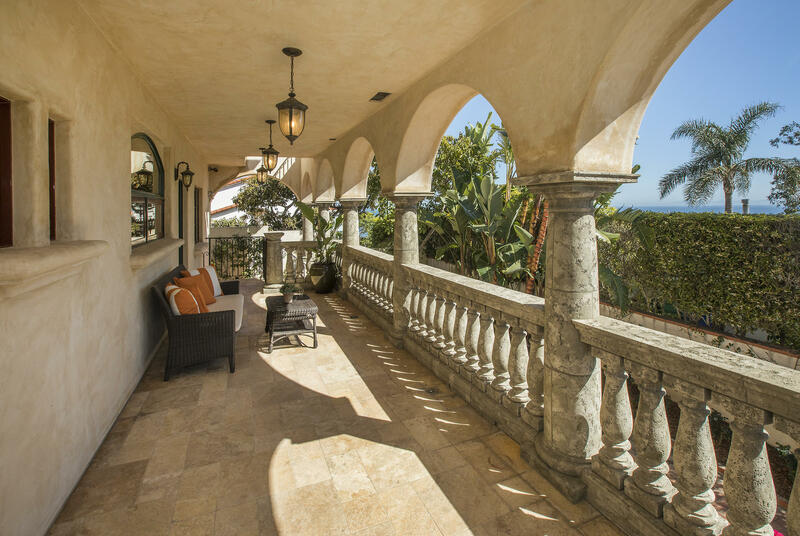 An exceptional homage to the natural beauty of its locale and built with reverence to both form and function, there is little left to be desired in this oceanside Mesa residence.